Herb Alpert – HAAIA Announces 2019 Panelists! 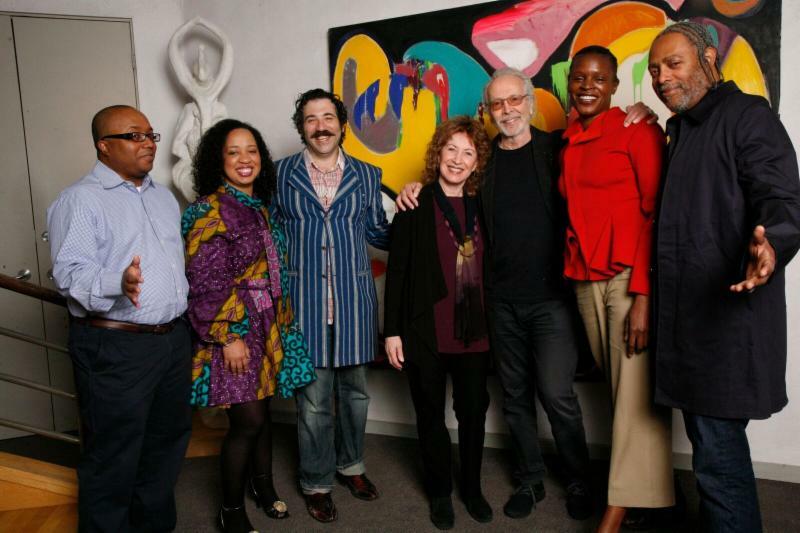 May 13 will mark the 25th anniversary celebration of the Herb Alpert Award in the Arts (HAAIA) and the2019 to five risk-taking, mid-career artists – experimenters – who are challenging and transforming art, their respective disciplines, and society. Founded and conceived by legendary musician, philanthropist and artist Herb Alpert, and his Grammy-winning vocalist wife, Lani Hall in conjunction with the California Institute of the Arts, the HAAIA has been awarded to 125 artists in the five disciplines of dance, film/video, music, theatre and visual arts. Each artist receives a $75,000 unrestricted prize and a residency at CalArts which administers the prize on behalf of the Herb Alpert Foundation. Herb Alpert and wife Lani Hall created the Herb Alpert Foundation in the 1980s. Over thirty years and more than $175 million dollars later, Herb Alpert remains one of America’s most important and loyal advocates of the arts and art education. Having witnessed the gradual, and sometimes precipitous decline of funding for the arts, Herb Alpert decided to do something about it, and artists found a new arena of support – and a new champion. Today, the Herb Alpert Award in the Arts announces the 2019 panelists (see below). Each award is adjudicated by three-member panels of respected arts professionals and artists – including many past winners – in each of the five categories. Six of the fifteen panelists – Joanna Haigood, Bill Morrison, Derek Bermel, Vijay Iyer, Pamela Z and Carl Hancock Rux, respectively — are past Herb Alpert Award in the Arts winners. Among the 125 past winners are noted artists: Carrie Mae Weems, Taylor Mac, Suzan-Lori Parks, Julia Wolfe, Michelle Dorrance, Tania Bruguera, Kerry James Marshall, Lisa Kron, Sharon Lockhart, Ralph Lemon, Cai Guo-Qiang and Okwui Okpokwasili to name a few. Herb Alpert is a musician, record producer and executive, sculptor, painter and philanthropist. His albums have sold over 72 million copies, and 29 of his records have reached the Billboard 200. Billboard also listed Alpert as #7 on their Greatest Of All Time Billboard 200 Artists. He co-founded A&M Records with Jerry Moss in 1962 turning it into one of the most successful independent record labels in history. In 2012 Alpert was awarded the National Medal of Arts by President Barack Obama and inducted into the Rock and Roll Hall of Fame in 2006. In 2010 Herb Alpert and his Foundation came to the rescue of the Harlem School of the Arts as the doors were about to be closed for good. Now, with a new board of directors and management, the school is flourishing and a beacon for kids all around the NY area. “If you want to see a feel good program—check it out,” says Herb Alpert.